Relaively large leaves, like the American Elm, have unequal side at the base. Comments: The large red fruit, almost the size of a dime, easily distinguish this from the American elm. It grows from easter North Dakota south to Texas and then east to the Atlantic seaboard. It has culinary, medicinal and timber uses. 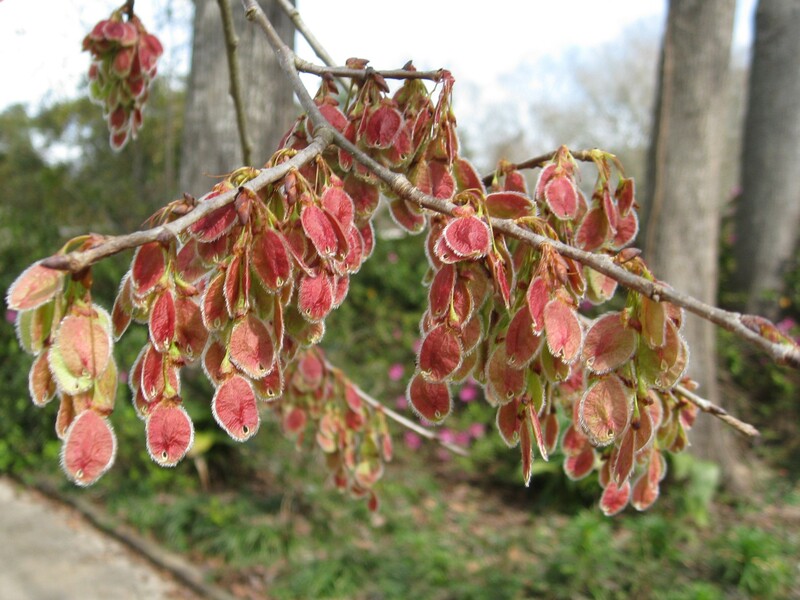 The large red samara in very showy before the leaves emerge in the spring landscape.